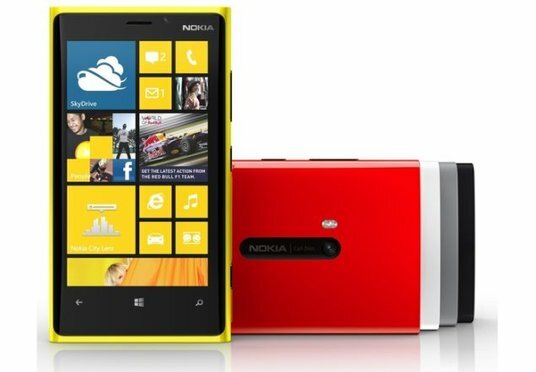 Nokia just unveiled the Lumia 920 and the Lumia 820, their long-rumored devices based on Windows Phone 8. The Lumia 920 is the high-end model and comes with Nokia's heralded PureView imaging technology. However, Nokia may have shot itself in the foot again, by limiting the camera to 8 megapixels, as compared to the 41 megapixel camera on the original Symbian-based Nokia 808 PureView. He's obviously right. The quality of the camera's sensor, optics and image processing techniques are far more important to image quality than the megapixel count. However, the very fact that he had to issue this clarification to fans highlights Nokia's marketing failure with the "PureView" brand. This isn't about Nokia's imaging technology; this is about the failure of Nokia's marketing strategy. 1) If Nokia was planning on making PureView a key selling point for its upcoming WP8 based devices, why did they launch the first device on the Symbian platform? It's possible they were planning on generating interest in PureView technology before the WP8 launch. But that makes very little sense when you take the next question into account. 2) If Nokia wasn't planning on retaining the high megapixel count of the Nokia 808 PureView, why create heightened expectations with a device that is not critical to your long-term strategy and then disappoint potential Lumia 920 buyers? I think Stephen Elop may have got the expectations management concept of "under-promise and over-deliver" backwards. This decision will definitely disappoint many potential Lumia 920 buyers and lead to lower sales at a critical juncture in Nokia's transition to Windows Phone. This is a little bump on a fast down hill journey. Not really second guessing Nokia on their hardware choices or specs. The camera itself is quite good. Just highlighting the fact that raising everyone's hopes with a 41 MP Pureview, only to follow it up with a 8 MP Pureview is not exactly a smart move. I see your point. The Nokia 808 used oversampling to achieve better quality, whereas the Nokia 920 uses OIS. In the end it is not the megapixels that count but the quality of the processed photo. Was that not Nokia's original point with the PureView technology in the 808? 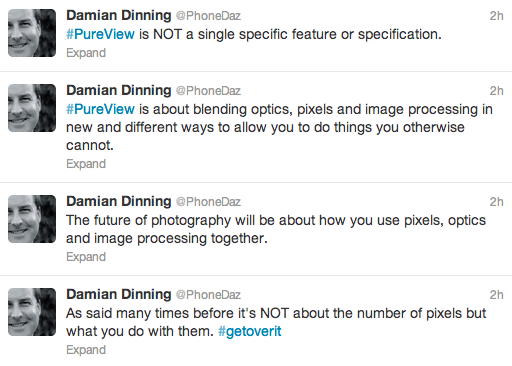 Again, this is not about the technology or the camera quality in the Pureview 808 or the Lumia 920. As I mentioned in the article, this is about Nokia's marketing strategy. The average consumer thinks that megapixels are all there is to a camera, and that's what guides his purchasing decision (at least on the camera quality). Keeping that in mind, this launch was a huge failure.